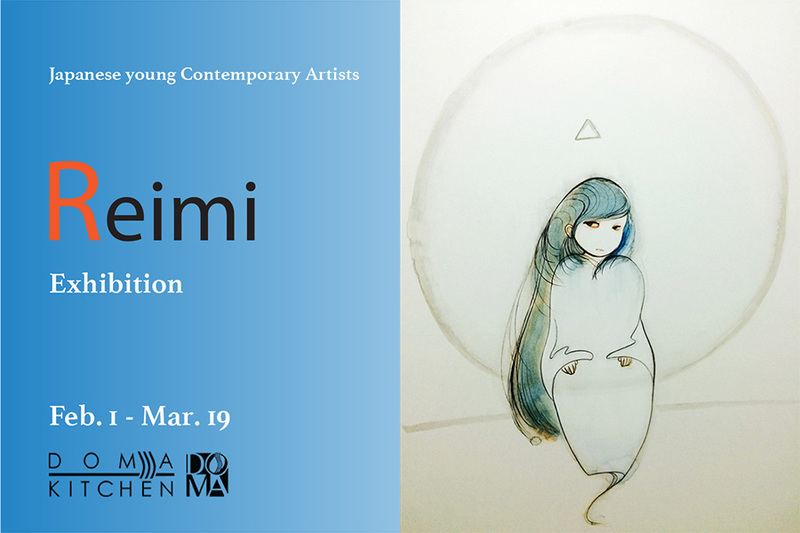 An exhibition by emerging young artist, Ms.Shiki Taira, is at Doma Kitchen in Marina del Rey, Los Angeles. Doma Kitchen offers an international-inspired cuisine with an emphasis on Eastern European and Central Asian techniques. Owners Angie Corrente and Stan Mayzalis have taken inspiration from their many world travels and created a menu with Chef Kristina Miksyte that reflects the exciting cuisine found in regions throughout the globe. All dishes are prepared from scratch and are seasoned to perfection with housemaid spices, placing the highest importance on farmer market fresh, seasonal and quality ingredients. With their design background, both owners have created an environment unlike any other in the area.